Summary: Identity theft is the most serious form of fraud. You need to know what to do if your social security number is stolen. This article provides everything you need to do if you are a victim of a stolen social security card, including what to do if you lose your social security card, how to get a new social security number, contact the social security fraud hotline, and more. Identity theft can cause emotional distress; it is important to know how to prevent it and where to go if you’re a victim. 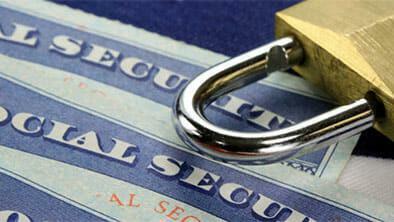 Why Is Social Security ID theft Popular? Quite simply, your social security card is the key to your identity. You need it to secure almost everything necessary to maintain your quality of life, including applying for credit cards as well as securing things like mortgages and student loans. Especially if a thief has your name and address, they can use your social security number to get a job, steal your property and other assets, and open up new credit card accounts, sign up for health care, and damage your criminal record. This is why thieves are so attracted to stealing social security numbers – with it they have access to all facets of someone’s life. Even once caught, the damage has been done and it can take years to recover from social security number theft. It’s good to know how to find out someone’s social security number to prevent yourself from becoming a victim of these methods. You can have your social security card stolen from your wallet, taken from an unsecured website, read off of personal records kept at work or home, or taken from personal records in the trash. You may give it to a thief posing as an employer or landlord, or said thief may pay the employee of a store to give them a number. Exact statistics on social security ID theft are hard to find. In 2015, Jay Jacobs, lead data scientist at Verizon was able to report that about 60-80 percent of social security numbers stolen are stolen by hackers. Just because a number is stolen, doesn’t mean an identity is stolen, so that number is smaller. But social security theft is more common than people may think and everyone is at risk. Consider the recent security breach at Equifax, one of the three credit bureaus. That incident put the personal data of 143 million people at risk, including their social security numbers. 209,000 credit card numbers were accessed, and personal information of 182,000 people was stolen via documents. In general, data breeches are common, but not at a credit bureau where your social security number is at risk. It’s important to know what to do if you become a victim. *If you are a potential victim of the Equifax data breech, visit www.equifaxsecurity2017.com for more information and to sign up for credit monitoring and identity theft protection. Now that you know how to find out someone’s social security number and why the crime is committed at all, you need to know the next steps to take if you become a victim of the crime. Contact a credit bureau. Contact one of the three credit bureaus to put a fraud alert on your account. Whichever one you choose will notify the other two to do the same. Get your credit reports. While calling one bureau will get an alert placed on all three accounts, you need to contact Equifax, TransUnion and Experian and tell them your social security number has been stolen to get free copies of all three credit reports. Report the theft to the IRS. Call 1-800-908-4490 and report the theft. This will protect you from tax fraud, preventing thieves from collecting your tax refund and filing fraudulent tax returns in your name. Report the theft to the Federal Trade Commission (FTC). They will create an identity restoration plan for you. File an identity theft report with your local police. They will help you clear your criminal record and name. You need a copy of a police report if you are going to apply for a new social security. *Note: It is difficult and sometimes unnecessary to receive a new social security number, even if it is stolen. The burden of proof is on the individual, not the Social Security Administration (SSA). If you are still wondering how to get a new social security number after taking initial steps, our best advice is to keep detailed records. Contact companies associated with any accounts. This will keep your credit as clean as possible. You also need to prove fraudulent activity to get a new social security number, so ask for records. Close or freeze these accounts. Report the theft to the Internet Crime Complaint Center. Visit http://www.ic3.gov/ to do this. That report will be sent to all appropriate local, state and federal authorities. For more guidance, contact the social security fraud hotline. Find the contact information here. IDWatchdog Provides advanced identity monitoring of millions of records, internet black market surveillance, Identity restoration services, credit report monitoring, and National Provider Identifier (NPI) alerts for healthcare providers. They also offer lost wallet protection, an “online safe box” that keeps your credit card, driver’s license and other information secure. All of these services are available for $14.95/mo. To receive your credit report and score get a Platinum plan for $19.95/mo. This is our recommended service based on support/services offered and affordability. Read our Full IDWatchdog review now. IdentityForce provides customers with many different types of monitoring including Advanced Fraud Monitoring, Credit Report Monitoring, and Identity Monitoring. It will alert you if there is a change of activity on your account that seems suspicious based on parameters determined by you, or when any other aspect of your identity is at risk through monitoring address changes and court records, among other things. IdentityForcre gives you access to your credit report and score, and can help you remove your name from the most fraudulent marketing databases. If you are a victim of identity theft, they offer services like fully managed restoration so you experience minimal emotional distress. The UltraSecure plan is $17.95/mo. and includes a 14-day free trial. An UltraSeure plan with added credit monitoring is $23.95/mo. For our full IdentityForce review, click here. IDShield provides customers with consultations from licensed private investigators to help you learn how to detect all types of fraud and keep yourself safe. They offer different types of monitoring like identity, credit, credit score and court records. You are alerted when suspicious activity occurs. In addition, they offer privacy monitoring that includes watching the use of your name, date of birth, e-mail addresses, social media accounts and more. They also watch global black market and P2P sharing sites. An individual plan is $9.95/mo. with the option to add legal, small business, and commercial driver services. Family plans start at $19.95/mo. for two adults and 1-8 children. Dashlane is primarily a password management system and helps keep your online identity safe. It has an autofill feature to complete forms instantly, eliminating the need for you to store personal information in an unsecured browser. The password generator will create a strong, secure, unique password each of your accounts without requiring you to remember it. The digital wallet is the way to ensure that only you see your personal information. The password changer changes passwords in a click, and remembers them for you. Security alerts on all your devices inform you if one of your accounts is compromised. Basic Dashlane is free but there are tiered plans that offer more features. One year is $39.99, three is $99.99 and five is $149.99. Read our Dashline review for more info. Privacy Guard provides identity theft protection, identity fraud support services, credit card protection, credit reports and scores, and identity theft education. They offer a “trial” period of $1 a day for 14 days with the option to cancel, and then charge $19.99/mo. Pricing information and details about devices are not easily accessed on the website. For our full PrivacyGuard review, click here. To avoid the stress that comes with a stolen social security card, only share your social security number when you must to keep it safe and avoid theft. Don’t carry you card in your wallet, rather keep it safely locked away. Was your social security number stolen? Report it right away! The longer you wait, the more emotional and financial grief you will cause yourself. Remember you can have your social security card stolen when you least expect it. If this happens, remember that it isn’t the end of the world. Follow our guidelines on what to do if someone has your social security number and you will recover.